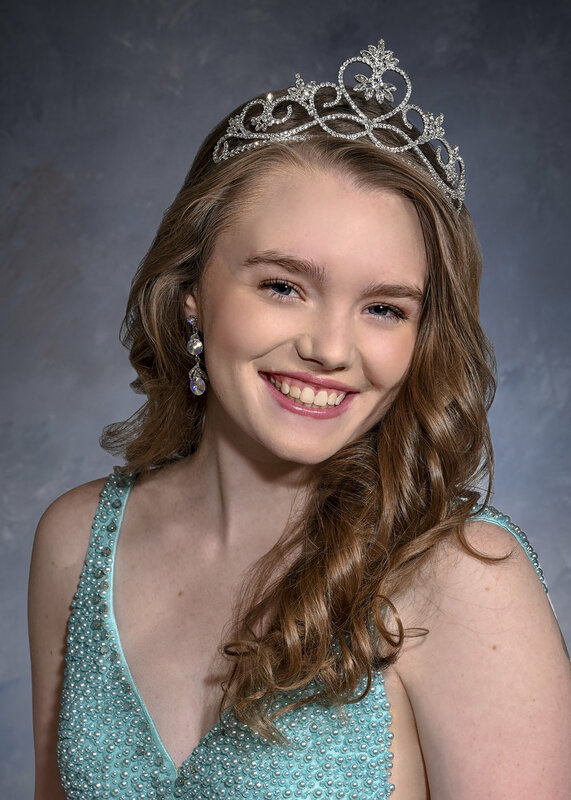 Madison Renae Fitzgerald is a junior at Western Albemarle High School. She enjoys volunteering in church activities such as Vacation Bible School, Children’s Church and watching children in the nursery. After high school, Madison plans on attending George Mason University. Madison would like to become a Forensic Psychologist. 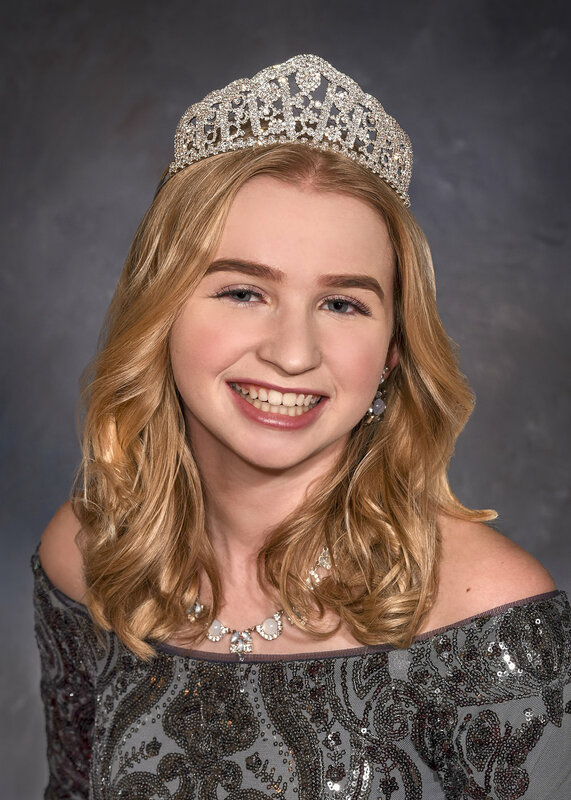 Madison is honored to be Miss Albemarle and to have the opportunity to give back to her community. 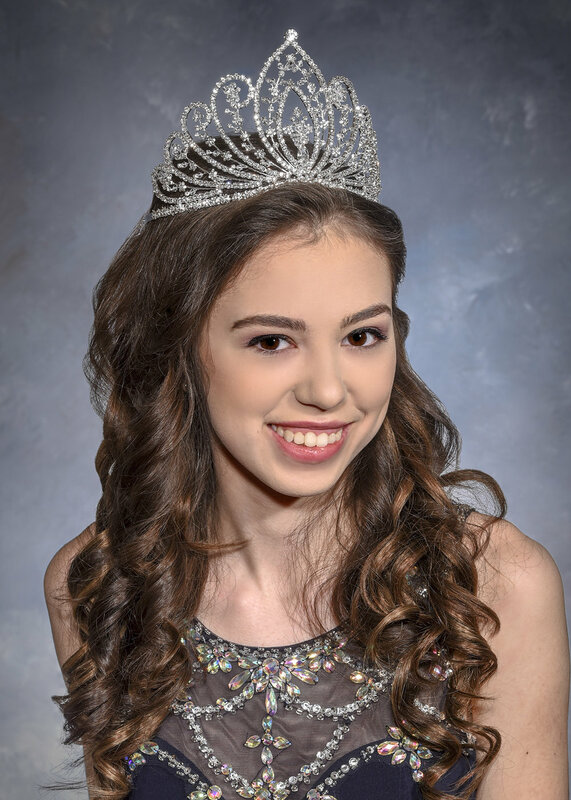 Rachel Anne Bardon is a sophomore at Buckingham County High School. She is involved in 4-H, Drama Club, Scholastic Bowl, SCA, FBLA, YADAPP (Youth Alcohol and Drug Prevention Project) and Tennis. Rachel enjoys ballroom dancing, sharing puns and fashion. Her hobbies include crocheting, photography, and volunteering with children. Following high school, Rachel plans on attending a four year university with interests in psychology and philosophy. Mariah Ashley Dulaney is a graduate of Fluvanna County High School. She is a student at PVCC and Liberty University online. Mariah enjoys singing, volunteering, swimming, playing lacrosse, spending time with friends and family, and lifeguarding during the summer. Mariah is a Criminal Psychology major and plans to pursue a career as a Criminal Psychologist while working for the FBI. Carrington Camille Harris is a junior at William Monroe High School. Her hobbies include camping, kayaking, yoga, volunteering, and spending time with family and friends. She loves animals, especially cows and dogs. Carrington is the founder of The Carrington Project, which supports children and their families as they battle terminal illness. After high school, Carrington plans on attending the nursing program at PVCC and eventually earning a master’s in nursing. Taylor Marie Talley is a junior at Louisa County High School. 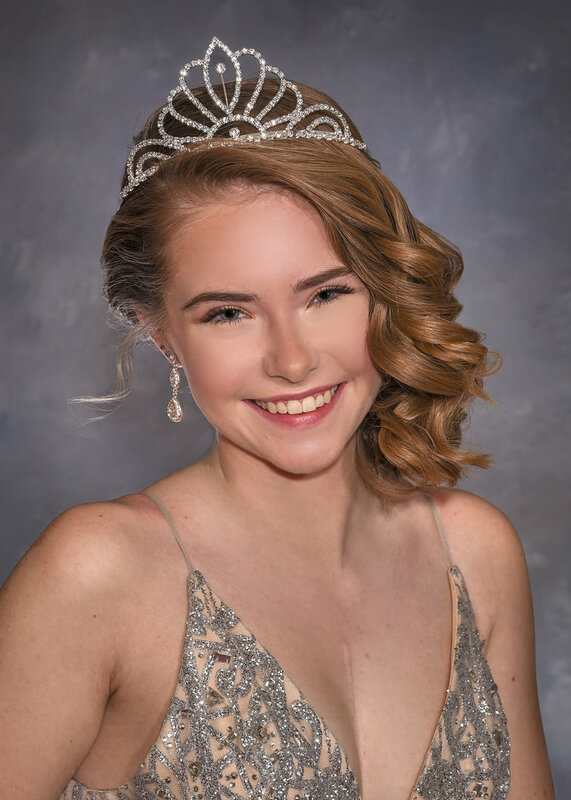 She is a member of the Blue Ridge Virtual Governor’s School, NHS, Teachers for Tomorrow, Speech and Debate, Young Life, FCA, Lion Pride Club, as well as a sideline and competition cheerleader. Taylor enjoys volunteering, shopping, going to the beach and spending time with family and friends. Taylor plans on attending a four year university, obtaining a master’s in secondary education and continuing into law school. 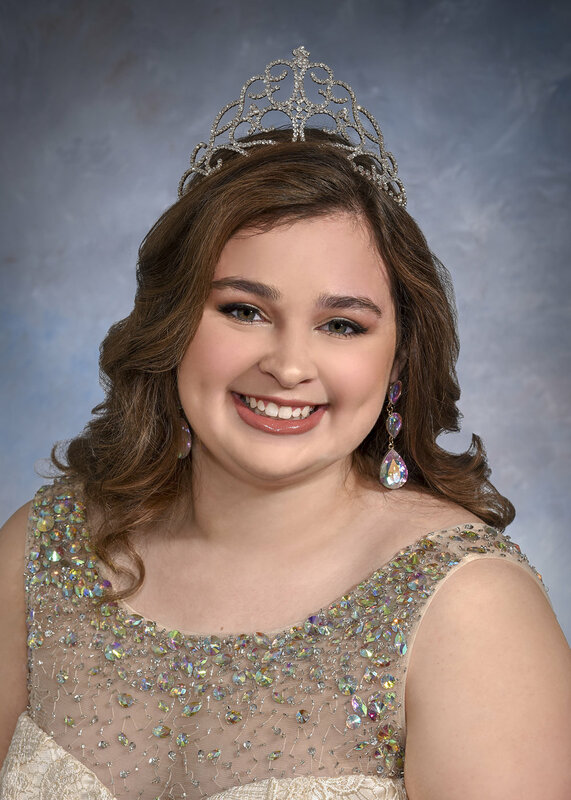 Elizabeth Nicole Haines is a student at Madison County High School. She is involved in the Beta Club, student council, FBLA, the soccer team and the dive team. Elizabeth enjoys participating in Young Life, watching Netflix with her dogs, supporting the Special Olympics and working with special needs children. Following high school, Elizabeth plans on attending a four year university. She would like to pursue a career in the neuroscience field and work with special needs children. Andrea Grace Payette is a sophomore at Orange County High School. She is a member of the Blue Ridge Virtual Governor’s School, Pondering Possibilities Club and Student Council Association. Andrea participates in the drama program at Woodberry Forest School. Her interests include jazz, ballet, lyrical dance, swing dancing, helping out on the farm and is an active member of her church.